Thanks Theresa over at Soul Gatherings. So much hatred being generated these days makes want to switch off. Wonderful quote! Very true! So let’s encourage our minds to focus on coping successfully with the actual challenges of life (including accepting what we cannot change), and if we need fiction, let it be hopeful and life affirming! Sadly, that is so. The mind is a powerful tool, which most don’t know how to use! 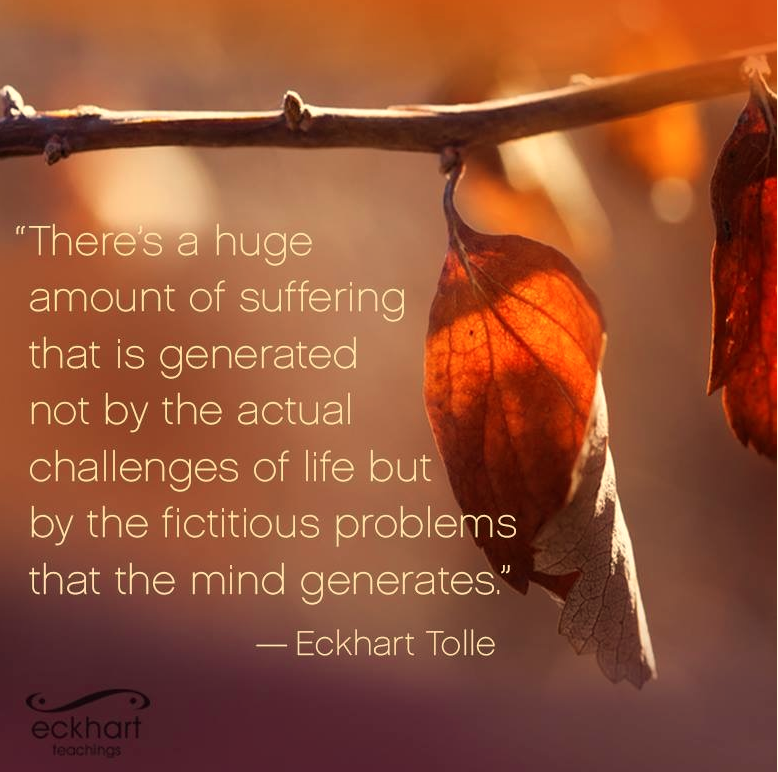 Most of my suffering comes from fictitious problems my mind created. Fortunately, I’ve learned that I can choose to get out of my mind and into my heart. When I do, most of my problems melt away like the last light snowfall before a warm day.